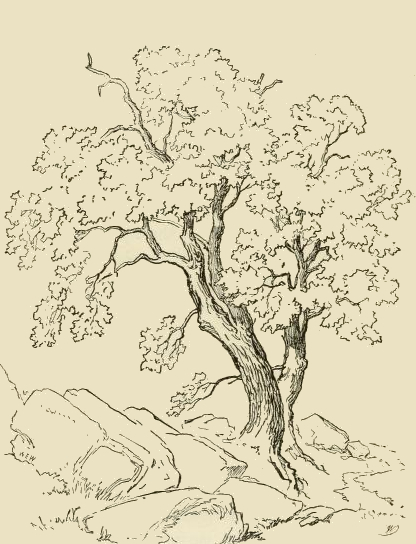 This pencil-like sketch of a tree growing among rocks is in the public domain. If your looking for images or trees or maybe a coloring page of a tree, this image could be just what you’re needing. It’s not entirely clear if this is a multi-trunk tree or a pair of trees growing side-by-side. Wither way, I like it for it’s general simplicity and the many possibilities it provides to customize it for your own needs.